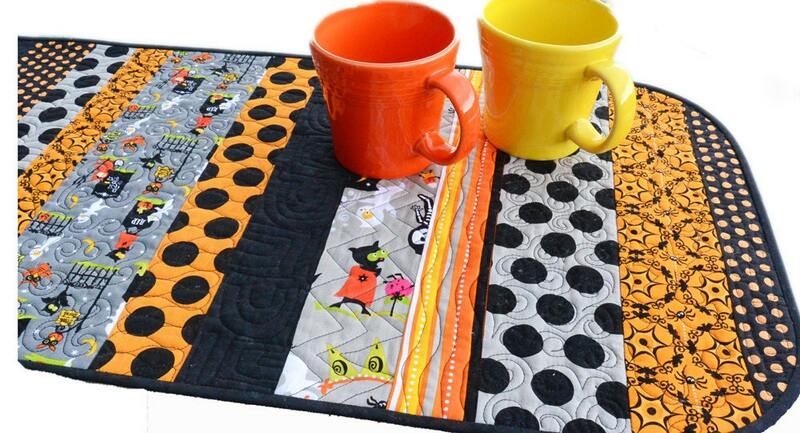 This Halloween table runner in orange and black is so cute that you will reach for again and again for your Halloween table decoration. Several pieces of a matching line of fabrics were cut into varying sizes of strips and sewn randomly back together. The fabrics included bold polka dots and trick or treating scenes. This table runner is great for young children as the fabrics contain no scary designs. 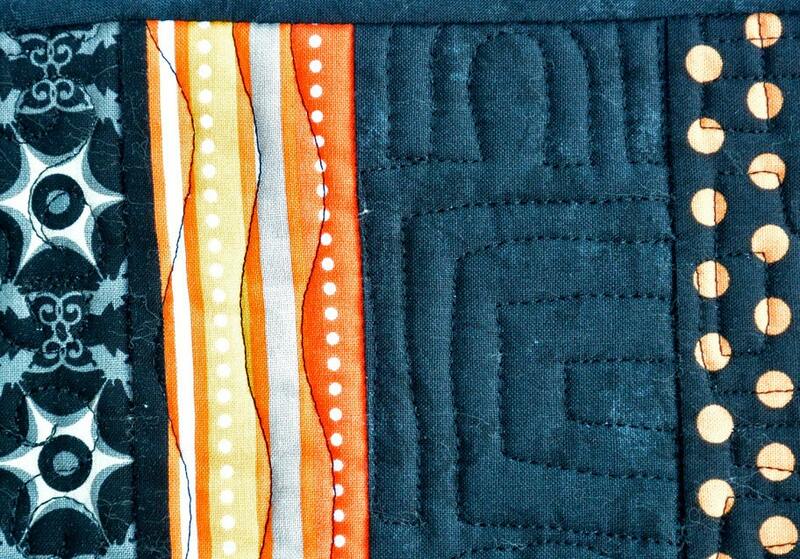 My favorite part of making this runner was the custom quilting I did in each of the sections. They are all different. 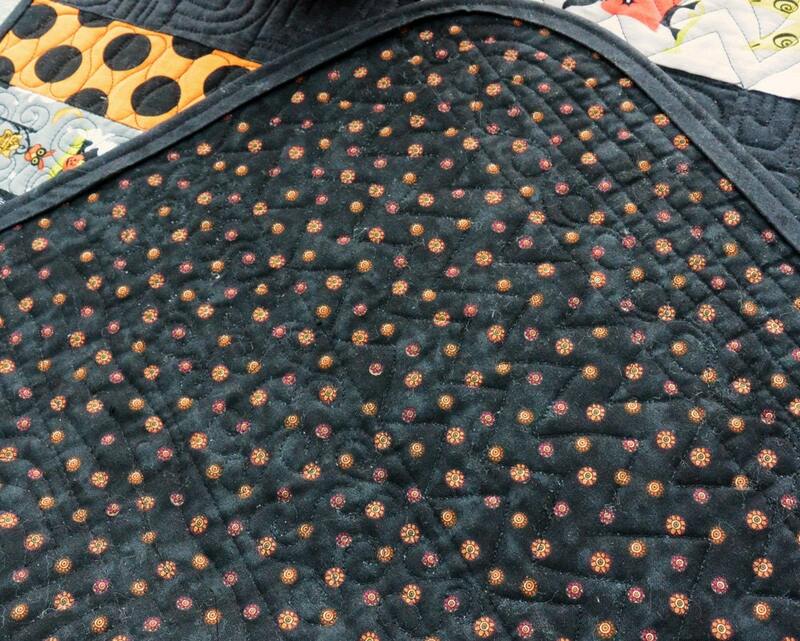 I used black rayon thread to give the quilting a fun sheen. The back is a small orange floral print on black with a matching black binding. Another feature of this runner is the curved corners. I used a bias double fold bind as it lays so nicely when going around curves. This table mat measures 20" x 40".